The Nelson area is a microcosm of New Zealand geology. Here you can learn why. Nelson and Tasman boast some of the most varied geology in New Zealand. The area contains some of the oldest rocks in the country, yet shows also major impacts of geological forces operating right up to the present day, It is built of a complex series of igneous and volcanic and sedimentary rocks; it bears the marks of fierce seismic activity; it has rich mineral deposits and bears evidence to an exciting history of geological exploration and mining; its landscape has been shaped by erosion and deposition by glaciers, rivers, the sea, the wind and the the action of mass movement. Everything is here. The Nelson area comprises a wide variety of rocks, ranging in age from Cambrian (over 500 million years ago) to the Pleistocene (the last 2 million years). As elsewhere in New Zealand, the rocks are laid down on a series of separate terranes (blocks of Earth's crust) that have been brought together as New Zealand by the action of plate tectonics. The oldest rocks are found in the west - in the Buller and Takaka areas, and consist mainly of sandstones and siltstones, formed as turbidites (i.e. from material washing and slumping down the edge of the continental shelf). These are some of the oldest rocks in New Zealand. The geological story of the last two million years is, in many ways, dominated by the Pleistocene glaciations. During this period, the Alps were covered by extensive glaciers and ice sheets on a number of occasions. These have left their mark both in erosional features, such as deep, U-shaped valleys and sharp arêtes, and depositional features such as moraines, kame terraces and huge outwash-plains. The Cobb Valley provides access to some particularly fine glacial features. Changes in sea-level during this period have also formed a series of raised beaches which are well seen along the west coast. Finally, in more recent times, rivers have formed wide areas of alluvium, while sands and beach gravels have accumulated along the coast. The Nelson area has been extensively affected by tectonic activity, at different times in its geological history. The longest fault in New Zealand - the Alpine Fault - which runs the length of South Island, marks the western edge of the Alps, before trending off to the east of the Nelson area. Over the last five million years, uplift to the west of the fault, and compression to the east, has been associated with more tectonic activity, creating numerous subsidiary faults through the region​. One of these, the Waimea Fault, runs down the Waimea Valley, with numerous offshoots such as the 88 Valley Fault. In various places in the region, small fault scarps can be seen, created by movements during the last few thousand years. Many of the rocks and minerals of the Nelson area have economic value. 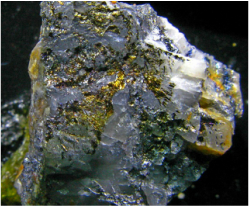 Rich, though localised, reserves of gold, chromium and copper were all found, mainly in association with zones of mineralisation in older rocks. Many of these were extensively exploited during the nineteenth and early twentieth centuries, and the remains of these endeavours are widely scattered across the region. They often tell a story of huge hardship as miners tried to win the minerals from the land - and brief success before the resources ran out and mining ceased. Coal is also found in many areas, notably in the west of the area, where coal mining still continues.